Since their formation in 1997, the Trio Mediaeval have carved out a reputation as being one of the finest all female a cappella groups, and have recorded a succession of highly acclaimed albums on the ECM New Series imprint and on March 3rd, Trio Mediaeval release their new album, Rímur, in collaboration with trumpeter Arve Henriksen. Drawing their repertoire from medieval and contemporary music the three members of the trio, Anna Maria Friman, Linn Andrea Fuglseth and Berit Opheim (who joined the group on a permanent basis in 2014) it maybe all too easy to jump to comparisons with the Hilliard Ensemble who will be known to may non classical listeners for their recordings with saxophonist, Jan Garbarek. Whilst there is a link between the Trio and the Hilliard Ensemble, as the original members did attend workshops and study with the English vocal quartet, there perhaps the similarity ends. The new album can also been seen as a further development of an earlier recording, Folk Songs, subtitled 'Ballads, Hymns & Lullabies' arranged for voices and percussion, and the increasing use of additional textural and melodic lines from the hardanger fiddle played by Anna Marie Friman that was heard on the 2014 recording Aquilonis. 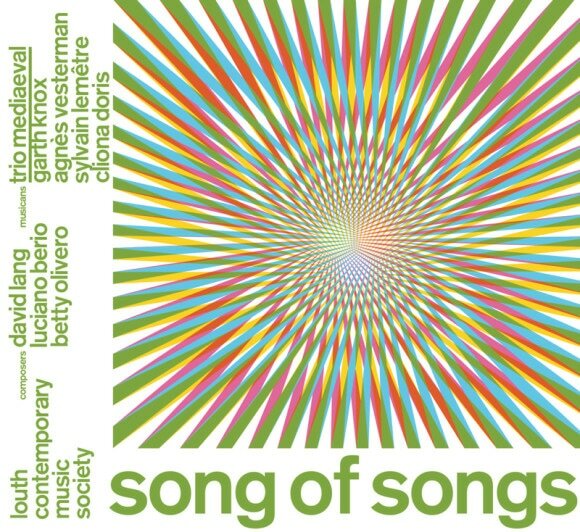 The trio can also be heard on the 2015 released Song Of Songs and are featured on 'Just' by composer David Lang, a remarkable song that puts the Trio Mediaeval in a another compelling context. Continuing this impressive series of albums for ECM, Rímur takes the story a step further with the collaboration with Arve Henriksen opening up possibilities not just for future projects with others, but suggesting that this fruitful association may yield much more in the course of time. As the Trio Mediaeval and Arve Henriksoen prepare for the release of Rímur and three UK concerts to launch the album, Jazz Views took the opportunity to talk to Anna Maria Friman about the new recording. Can you tell us about you new album, Rímur featuring the Trio Mediaeval with Arve Henriksen? We have had the great fortune of working with Arve in different settings over the last ten years and the repertoire we have performed has grown and evolved over time. The four of us have spent many creative rehearsal days together by the beautiful Dalsfjorden on the Norwegian West coast, and it was there that most of the music for this recording was born. We have been inspired by ancient Icelandic sagas, folk songs, hymns, fiddle tunes and medieval chants which has formed this unique set of songs from Iceland, Norway and Sweden. How do you find incorporating another voice, in this instance Arve's trumpet, into the existing sound of the Trio, and how does this affect the overall dynamic of the ensemble? For the first ten years as a trio, we focused almost only on pure trio repertoire, consisting of sacred medieval music from France, England and Italy, contemporary works written specially for us, as well as Norwegian folk songs. The Rímur repertoire is mostly arranged for the four of us together, and structured in a freer way than before. By adding Arve´s trumpet and colour to the arrangements the harmonic possibilities grew. Most of the arrangements also have open parts for improvisation, which means that no performance of a piece sounds the same. It has been a very exciting process for the three of us to work more freely with the repertoire, and vocally we try and create a more colourful palette of sound by shifting between the different parts. The recording is produced by Manfred Eicher and we had a wonderful and creative time with him when we recorded last year. How do you feel the new album differs from the previous Trio Mediaeval recordings? It makes a big difference to the sound adding another voice of course, and the improvisational elements and possibilities in this programme is probably the main difference. We very much enjoy performing three part medieval pieces and contemporary works, but there are more limitations in terms of creativity in a performance situation and the music more or less sounds the same every time we perform it. With the Rímur repertoire new things can always happen. Rímur follows the group’s interest in folk songs, along with medieval and traditional music from Iceland, Norway and Sweden. How did you select the repertoire for the album? 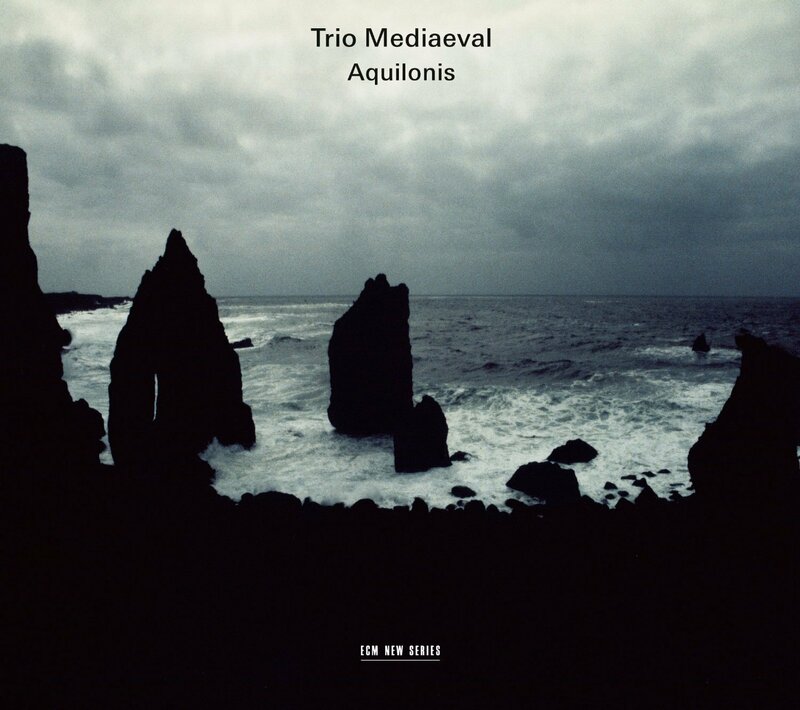 The trio´s previous recording Aquilonis featured arrangements of mediaeval chant celebrating the Icelandic saint St Thorlak. On this recording we have included another three famous medieval hymns celebrating the Nordic saints: St Sunniva of Norway, St Birgitta of Sweden and St Magnus of Orkney. In addition to these three pieces we all brought Swedish, Norwegian and Icelandic songs to the project, and we simply selected the pieces that we enjoyed most. On the album, Folk Songs, coincidentally also featuring a collaboration with another voice to colour the ensemble in percussionist Birger Mistereggen, you also focussed on the folk music of Scandinavia. Do you see Rímur as a continuation of this work? We very much enjoyed to work with Birger Mistereggen and the Norwegian folk songs repertoire. The curiosity to find more folk songs and hymns and create a new programme and expand our repertoire to include Swedish and Icelandic traditional music grew. Improvisation has always been a natural and important part of Nordic oral tradition and it has been very exciting to create a new setting where the traditional and medieval music emerges with improvisation. The trio performs music that spans several hundreds of years, that includes pieces from the thirteenth and fourteenth centuries through to the present. You have said that "medieval and contemporary pieces seem to fit together incredibly well". Can you elaborate on that? 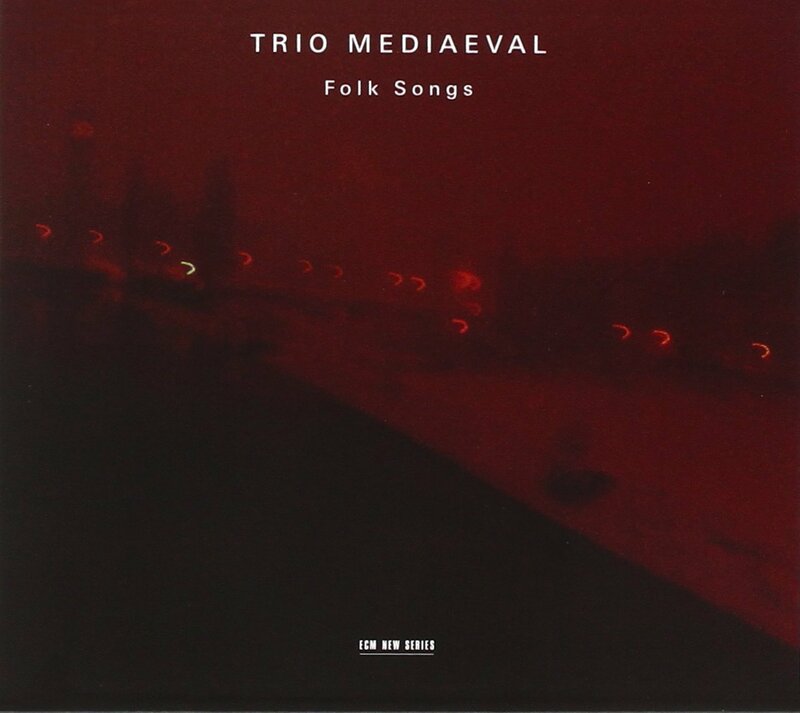 The composers who have written music for Trio Mediaeval have often been inspired by the medieval music we perform. Many of them, such as Ivan Moody, Gavin Bryars and Andrew Smith, often use parts of original chant in their compositions to us. Some have also used medieval poetry, such as Gavin Bryars and William Brooks. In this way, the music written for the trio suits very well with our medieval repertoire. It is also a matter of creating a good variety of sounds and harmonies in our concert programs. We also enjoy minimalistic music a lot and have been fortunate to work with David Lang, Julia Wolfe and Michael Gordon (Bang on a Can) (USA) in different settings. This year celebrates the 20th anniversary of Trio Mediaeval. Can you tell us how the trio came together? The trio was founded by Linn Andrea Fuglseth in 1997, and the singers met in choirs in Oslo; Grex Vocalis and The Norwegian Soloists Choir. Fuglseth was inspired by studies in Early Music at Guildhall School of Music and Drama in London, and brought several scores of three part medieval music home to Oslo. At that time there were very few vocal ensembles that performed mediaeval music in the Nordic countries. Quite early in the trio´s career the repertoire grew to include Norwegian folk songs and contemporary pieces. How do you feel the trio has evolved over this period of time? Over the last ten years Trio Mediaeval has been fortunate to be involved in new collaborative projects with ensembles such as the Bang on a Can All-Stars, MusikFabrik, The Saltarello Trio, Sinikka Langeland Ensemble, Tord Gustavsen Trio, Mats Eilertsen trio, Norwegian Chamber Orchestra, and Vox Clamantis. We have also collaborated with a number of Norwegian jazz musicians and improvisers, and the inspiration and creativity that these groups and musicians brought to trio have been hugely significant for us. What can we expect next from Trio Mediaeval? Do you have plans for futurecollaborations? Yes! Most of them are too early to mention, but there will be exciting collaborations in the next few years. On the 13th of December this year the trio and Nils Økland (violin/hardanger fiddle/viola d’amore) will present a new Christmas programme in the Wigmore Hall. For more information visit ECM Records and Trio Mediaeval website.